If you are looking to outsource customer support for your firm, it is imperative to have a basic knowledge of call center metrics. This will help you in choosing the service provider that uses most optimum call center metrics in its processes to improve the level of customer satisfaction. Call center metrics can be generally defined as measurement criteria used for analyzing the level of customer support and agent performance in a call center organization. We have listed major call center metrics along with their importance in the process to ease up your call center outsourcing process. This metric represents the amount of satisfaction received by customer after getting service from customer service department. It is often denoted in the form of percentage where ‘100’ represents complete satisfaction of customers whereas ‘0’ refers no satisfaction at all. It helps you analyze the points where improvement can be made in terms of customer support. Customer care departments can also use this metric to identify the impact on customer satisfaction related to changes in training modules. It is a metric that tells how many issues of the customers were resolved when they made a contact with customer support department for the first time. It is often considered one of the primary metrics of contact centers. Other than giving delightful time to precious customers, FCR also provides benefits to the customer support department. It decreases the operational costs of the process and also reduces the burnout of agents to a substantial level. It is the measure of number of customers who abandon the call before reaching the live agent. It is measured by dividing the number of abandoned calls by the number of calls received by customer support department. You can reduce rate of abandoned calls by decreasing the waiting time for the customers. This will make them more satisfied and loyal towards the firm especially the busy customers. It also helps in decreasing the costs associated with the process. It is the measure of how many calls of the customer were sent to higher authority when frontline agents were unable to resolve them. Why escalation rate is important? It helps in telling the areas in which agents need better form of training so that they can resolve the customer issues easily. It also helps in identifying the average and below average performers of the team who are unable to resolve various types of customer complaints. It is a metric that tracks the duration during which the call center agents remain attached to their schedule. Usually, it is measured using workforce management tools of the call center organization. 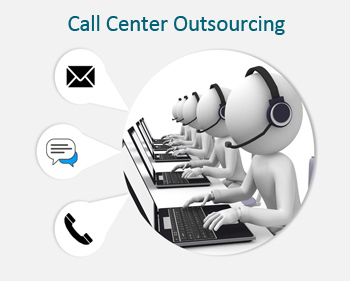 It helps in ensuring maximum productivity of call center agents which minimum wastage of their allotted time. It also helps in planning the training and feedback sessions for the agents more effectively. It reflects how much effort has been made by the customer in order to get an issue resolved. Why is should be used? It is directly associated with loyalty of the customers towards the firm. The less the customers have to put efforts for resolving the issue, the more loyalty they show towards to the company. It is checked by the likelihood of recommendation of services or products of a company by existing customers to others. This metric helps in tracking the loyalty of customers towards the firm. Why NPS should be implemented? Call centers usually utilize this metric to track what kind of responses trigger the customers to become loyal towards the company. It also helps in training the employees so that they provide solutions in a manner that is sufficient to make the customers more loyal. It is an average of total time related to interaction of customer with the agents. It consists of talk time, hold time along with tasks like follow-ups with the customer. It helps the call centers in predicting the requirements related to recruitment of customer support agents. It also helps in figuring out the weak areas associated with customer service due to which average handling time is more. This metric reflects the extent to which customer support representative was able to comprehend the issue of the customer. It ensures that suitable measures are taken by the call center firms to avoid errors made by the agents. The firms can also ensure that data entered in the CRM by agents is free of errors if call quality is used properly. It is the total percentage of customers that were unable to reach the customer support department due to busy tone. Using this metric, the companies can work on optimizing the calls handled by the agents. The companies can also design efficient IVR menus that decrease the load on call center agents. Also, the companies can recruit the suitable number of agents on the basis of this metric. While outsourcing the call center process, make sure to go through the metrics of the vendor to ensure that finest form of services are available to your end customers. Several call center firms also have their unique metrics which are used to identify satisfaction level or agent performance. You can also analyze them to finalize the vendor for your project.